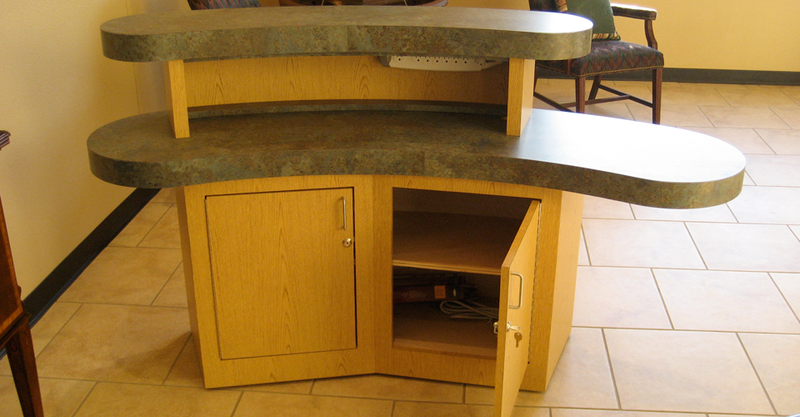 Below image features quartz countertops which are an additional charge. 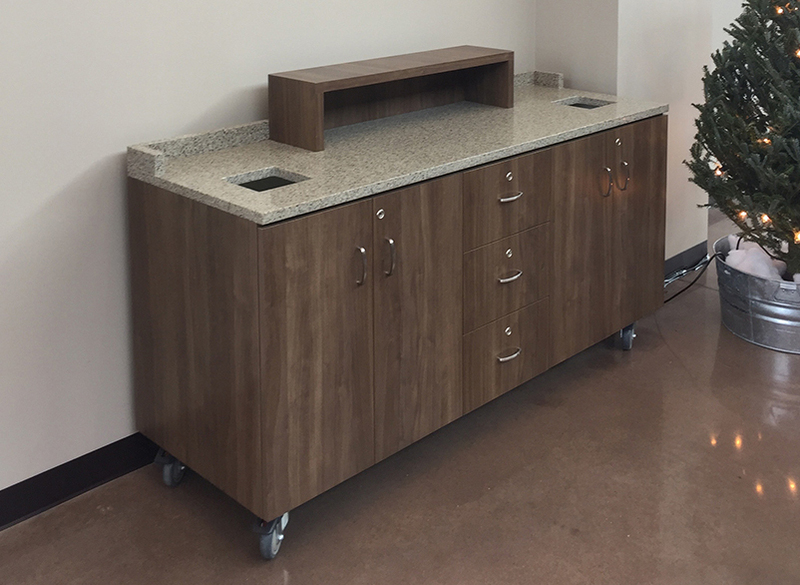 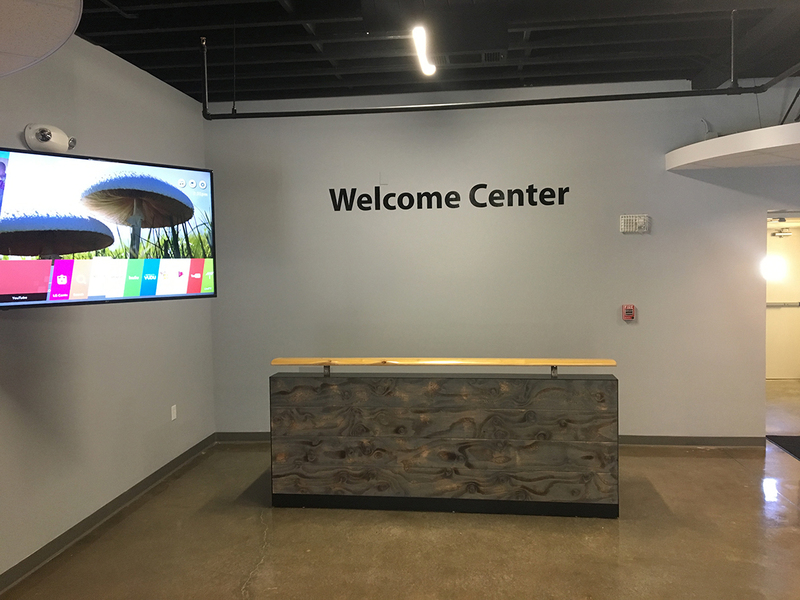 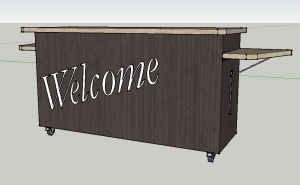 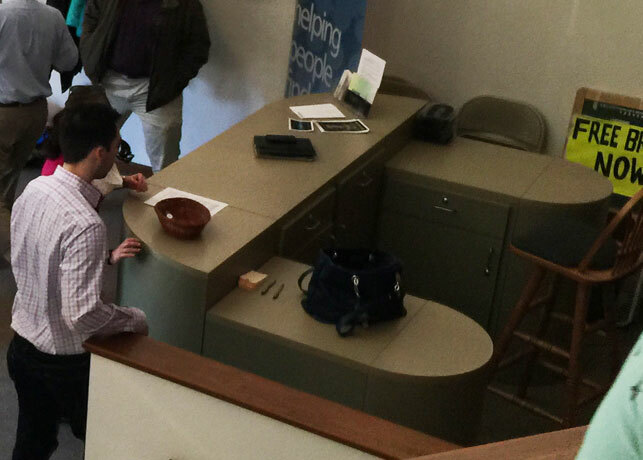 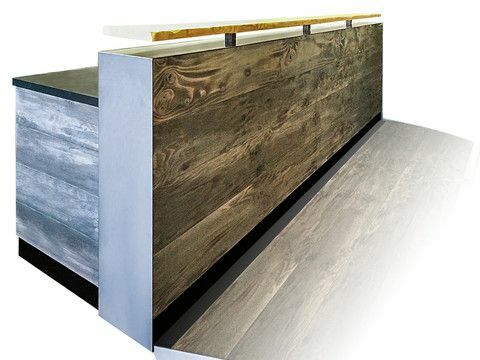 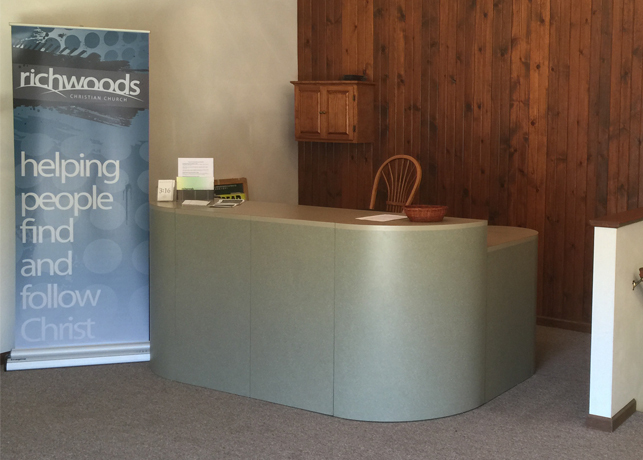 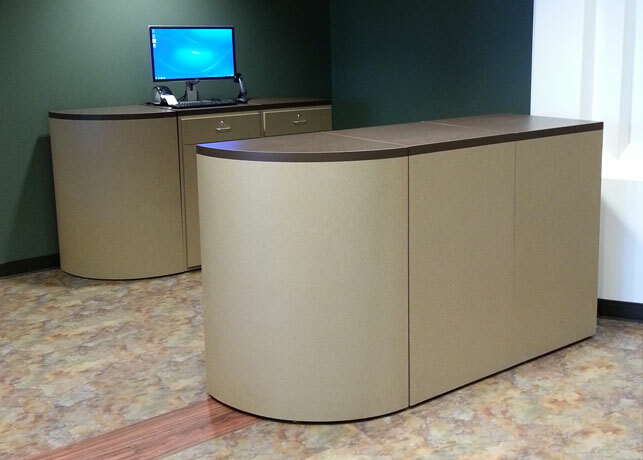 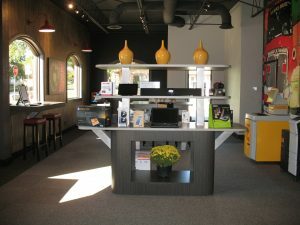 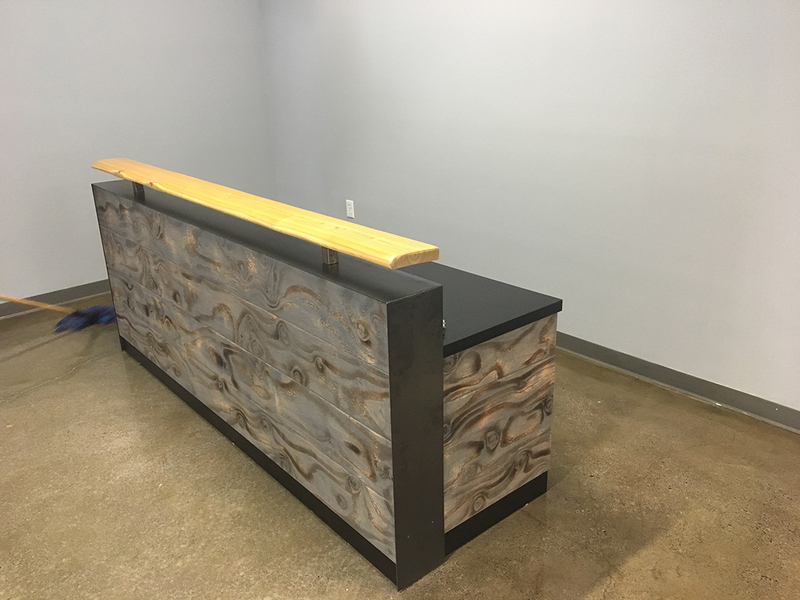 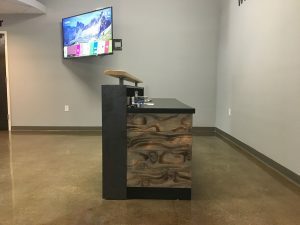 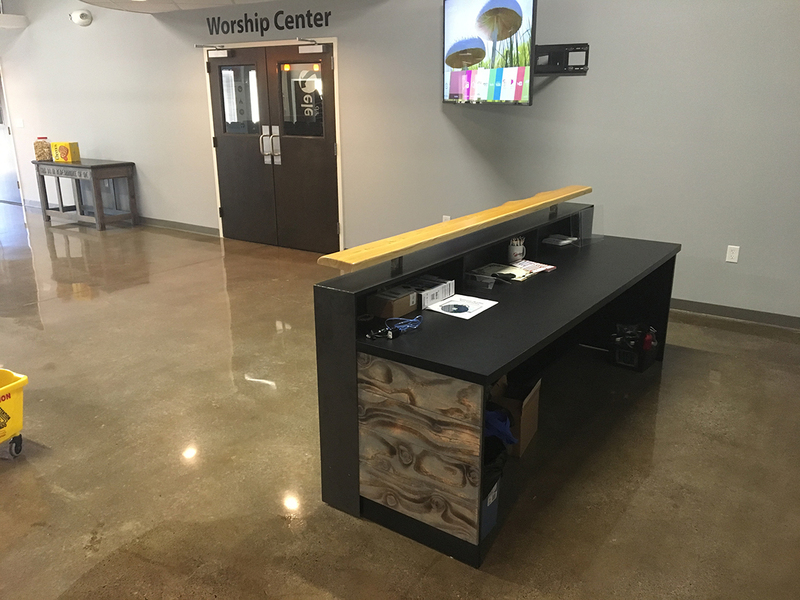 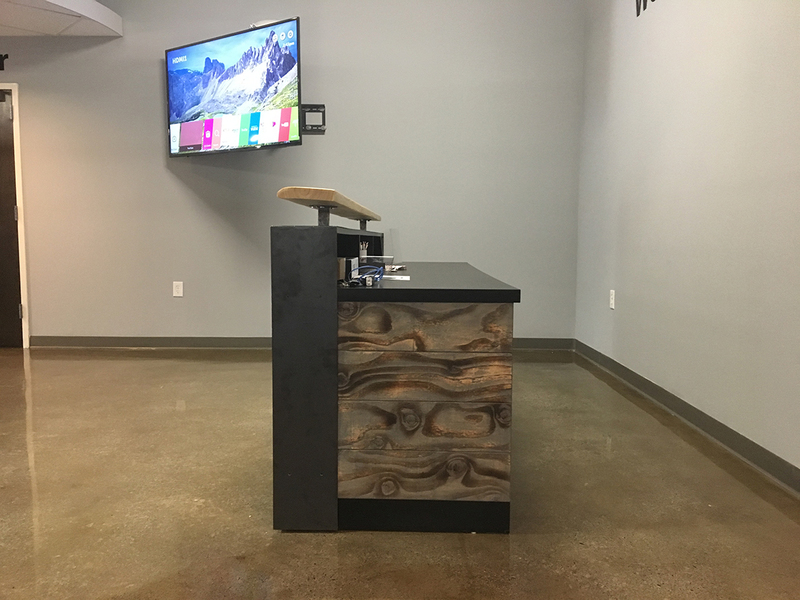 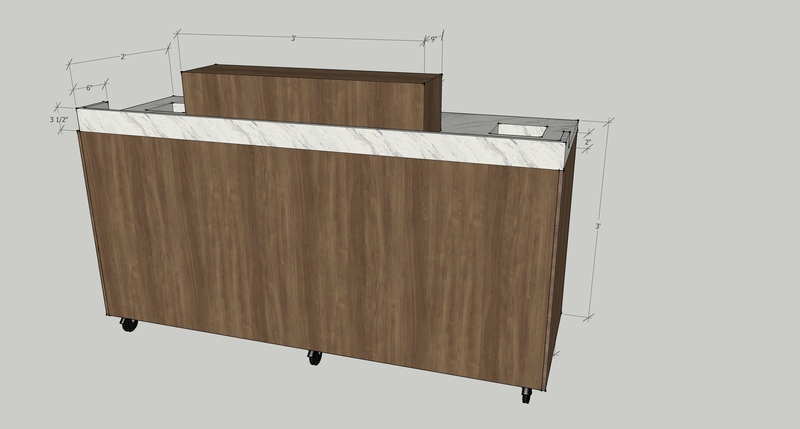 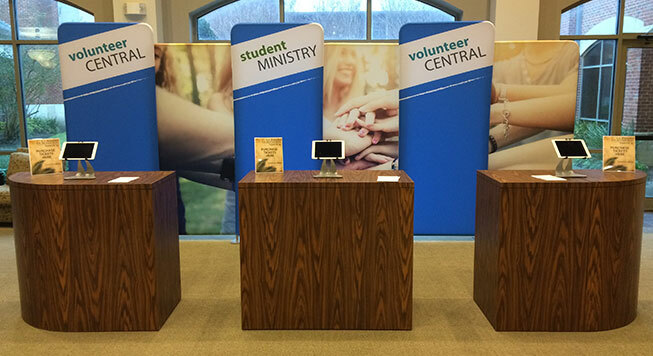 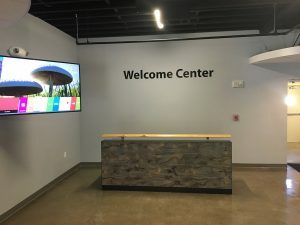 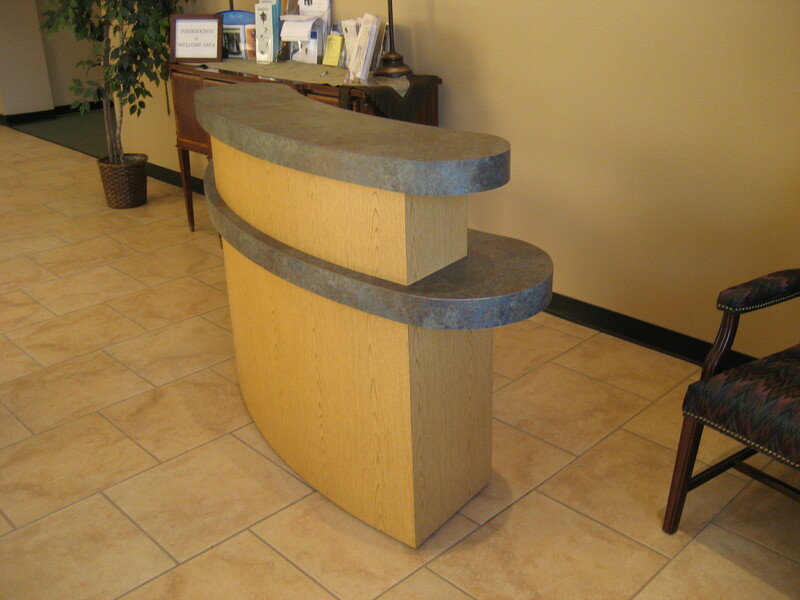 Our check-in station has everything you would need in a simple reception desk—itʼs versatile, functional and inviting! 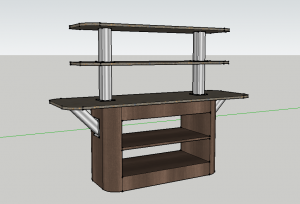 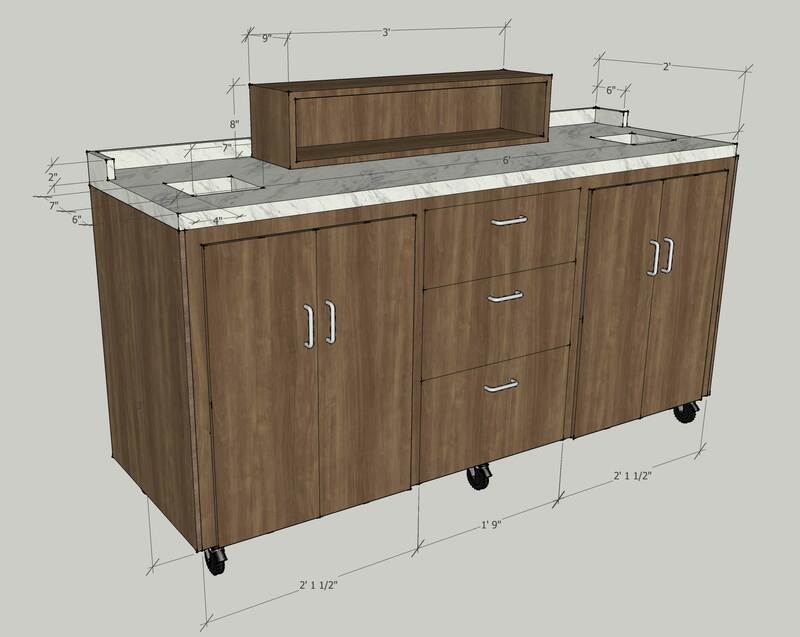 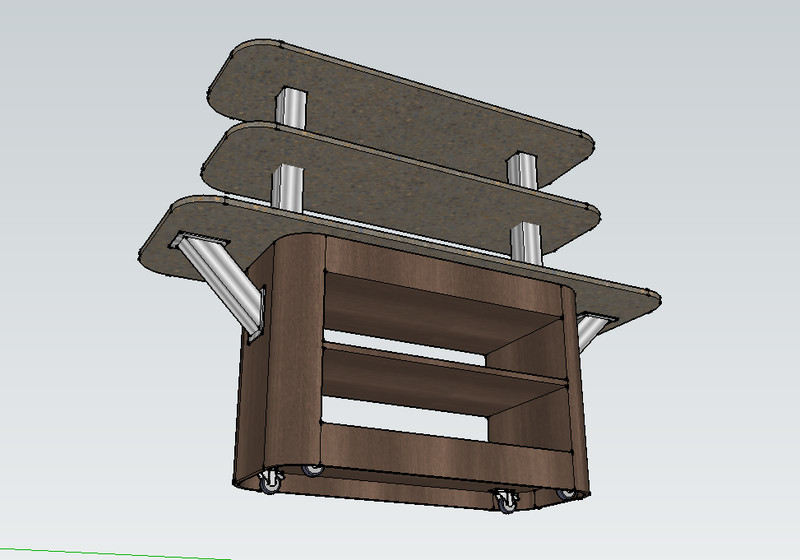 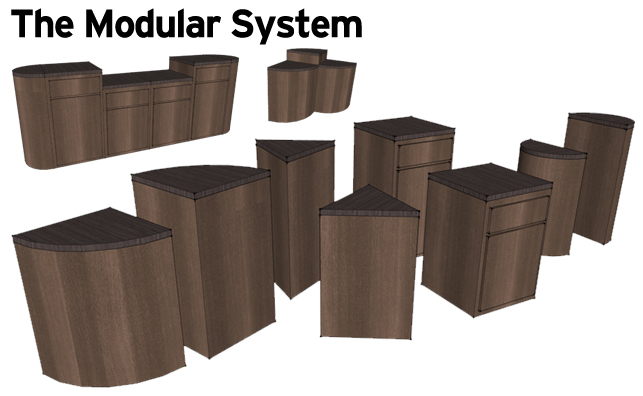 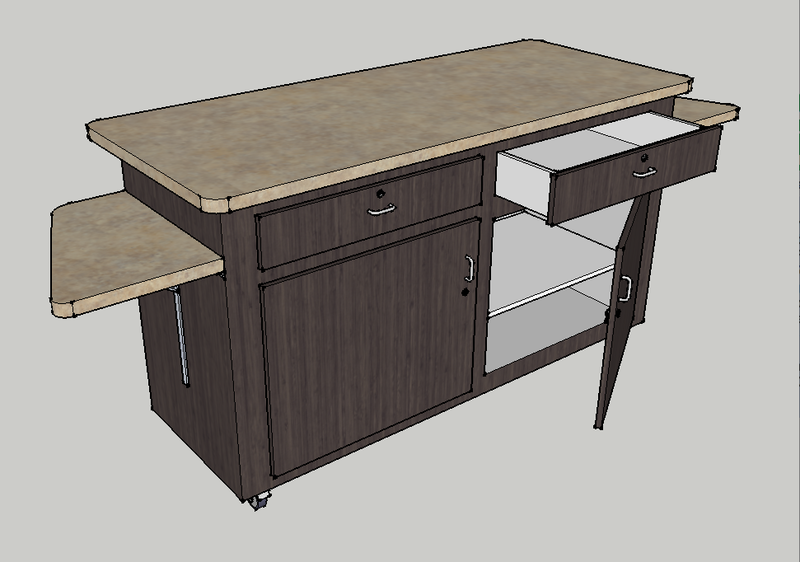 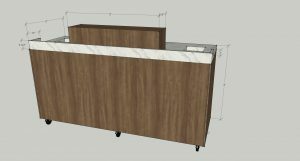 Features include a two tier countertop, creating additional surface area; an attractive curved anterior; extended lower counter for handicap access; notched out cubby hole for desktop items; deep-set, locking cabinets for storage; and, even a hidden power strip. 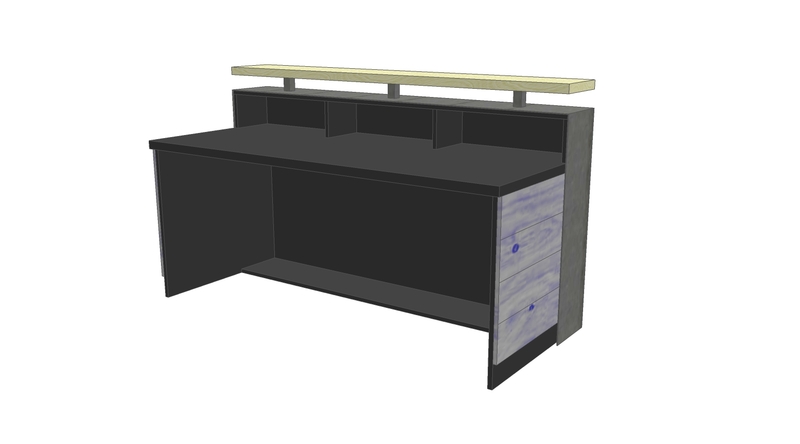 This desk is 6ft wide, 42in tall upper counter, 30in lower counter, 30in deep. 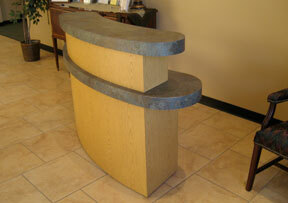 This desk is $5000 and includes delivery to anywhere in the contiguous United States.